Care2 Healthy Living | Is Ginger Effective for Osteoarthritis? Is Ginger Effective for Osteoarthritis? If ginger can ease menstrual cramps, what about osteoarthritis? 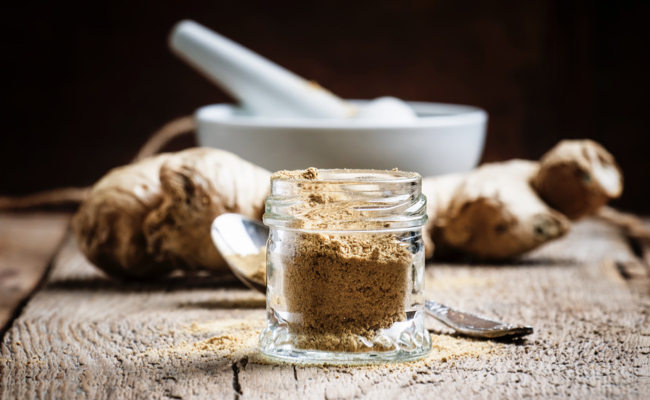 Since that time, there have been a few other trials that showed more impressive results, such that ginger is now considered “able to reduce pain and disability” in osteoarthritis. How does it compare to other treatments? Since osteoarthritis is a chronic disease, it’s especially important to weigh the risks versus the benefits of treatment. The commonly used anti-inflammatory drugs can carry serious cardiovascular and gastrointestinal risks. For example, nearly half of the osteoarthritis patients on drugs like ibuprofen were found to have major injuries to the lining of their small intestines. That risk can be reduced by taking additional medication to counteract the side effects of the first drug. Ibuprofen-type drugs reduce our stomach lining’s ability to protect itself from stomach acid, so blocking acid production with a second drug can lower the risk. However, ginger can actually improve stomach lining protection. Indeed, at the kinds of doses used to treat osteoarthritis—about a quarter- to a half-teaspoon a day—ginger can be considered not just neutral on the stomach, but beneficial. So, ginger can be as pain-relieving as ibuprofen but without the risk of stomach ulcers. What about topical ginger treatment, as in externally applying a ginger-soaked cloth or patch to the affected joint? In a controlled study, compress versus patch, both showed remarkable and lasting pain relief for osteoarthritis sufferers. What was missing from the study, though, was a control group: There was no placebo patch. I don’t care if ginger has been applied externally to painful joints for a thousand years. The placebo effect has been shown to be remarkably effective in osteoarthritis in providing pain relief. So, until there’s a controlled study on topical ginger, I’m not going to believe it. There wasn’t such a study until… 24 men stuck ginger slices on their scrotum. Men with inflamed testicles applied six to ten paper-thin slices of ginger “over the affected testes,” and, evidently, the ginger group healed nearly three times faster than the control group. Unfortunately, the original source is in Chinese, so I can’t get further details, as is the only other controlled study on topical ginger I could find, whose title apparently translates to “Evaluation of point plaster therapy with ginger powder in preventing nausea and vomiting occurred after platinum-based interventional chemotherapy.” We know ginger powder taken orally can be a miracle against chemo-induced vomiting, but what about stuffing it in your belly button? The external application of ginger powder to the so-called point of Shenque, which is the navel, was compared to the control group, who got potato powder in their belly buttons instead. The ginger group evidently had significantly less nausea and vomiting. Unfortunately, only the abstract is in English, so I can’t tell how effectively the researchers blinded the patients to the treatment. Presumably, it would be easy to tell whether or not you were in the ginger or placebo group simply by the smell, but perhaps the researchers controlled for that? Until we know more, I would suggest those who want to try ginger use it in the stomach, rather than on the stomach. Love ginger anyway. Spam flagged.